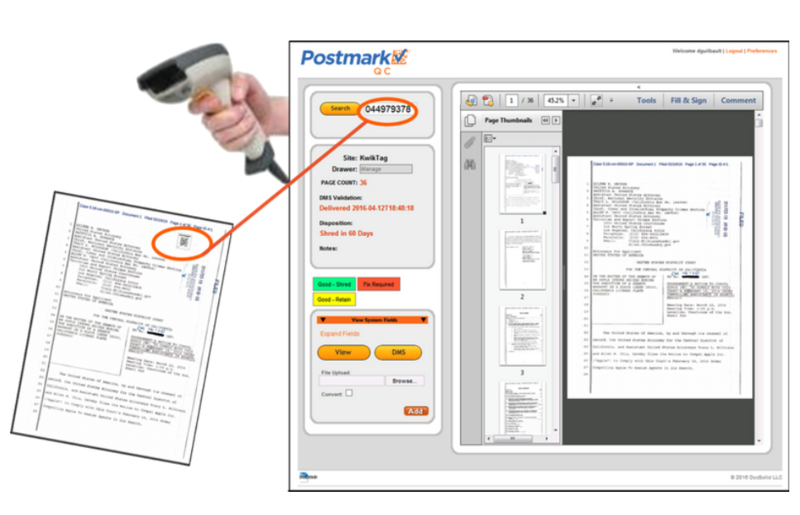 Postmark QC is workflow software for quality control of the document imaging process, so that scanned paper and resulting images can be validated, and the paper can be shredded or retained based on policy. This patented solution uses the paper to drive the QC software process, so that images and paper are together for efficient problem identification and resolution, and so that physical paper disposition is managed as part of the process. 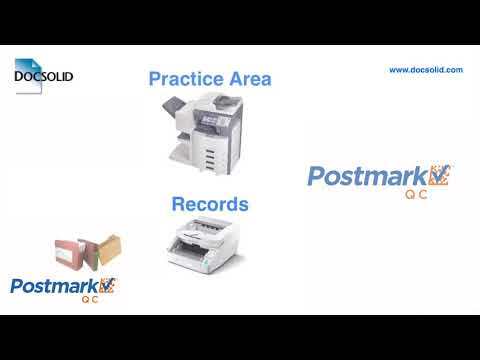 Postmark QC enables the confident shredding of paper records. From a variety of solution angles, this is an ROI story. Much of the hard payback comes from shredding instead of storing paper. This reduces real estate costs, offsite storage costs, and records handling labor costs. Visit DocSolid’s ROI web page to review your payback on eliminating paper.